Although I’m not really talking about fashion very often on here, I do love everything about it. I can spend hours flicking through fashion books, and love everything from shoes, accessories, bags and clothes. Though if I had to pick one: I’m a definite bag person. What can I say… I managed to pick up the much anticipated Mansur Gavriel Bucket Bag in Flamma right before Christmas. Lucky me, as all bags are sold out (worldwide) and a new batch will come in late February/early March this year. Luck is on my side for once. Mansur Gavriel is the baby of Rachel Mansur and Floriana Gavriel who started the brand as they were looking for a simple, high quality and affordable bag, which was not to be found on the market. Officially launched just last year, their bags became an overnight sensation and all of the Bucket Bags are sold out. Taking into account that the bags just hit the stores in June 2013, I’m expecting great things from this brand. Aside from their famed Bucket Bag, they’ve got a Tote and other small leather goods which are designed with the same aesthetic – simplicity at it’s best. The bag is made in Italy and of Italian (cow) leather, and surprisingly light. It’s a roomy shoulder bag, which fits in loads and comes with a small leather pouch where you can put your keys in, some cards and some coins. I managed to fit a make up bag, notepad, iPad (Air) + case, bottle of water, tissues, pens, wallet and a card pouch in the bag and it still closed (or well… I could tie it up). Because of its simple design, it just fits with any kind of outfit, without having to under- or overdress. It simply makes any outfit look more sophisticated and chic in a way. What I like the most is that that if you don’t know the brand, it’s ‘just’ a gorgeous, simple bag for you – nothing too over the top, which is what I have been looking for, for years. I don’t think carrying fully monogrammed products at Uni or as an intern are things that fit well together, but that’s just my opinion. And for those that do know the brand, if you ain’t got one: shame on you. 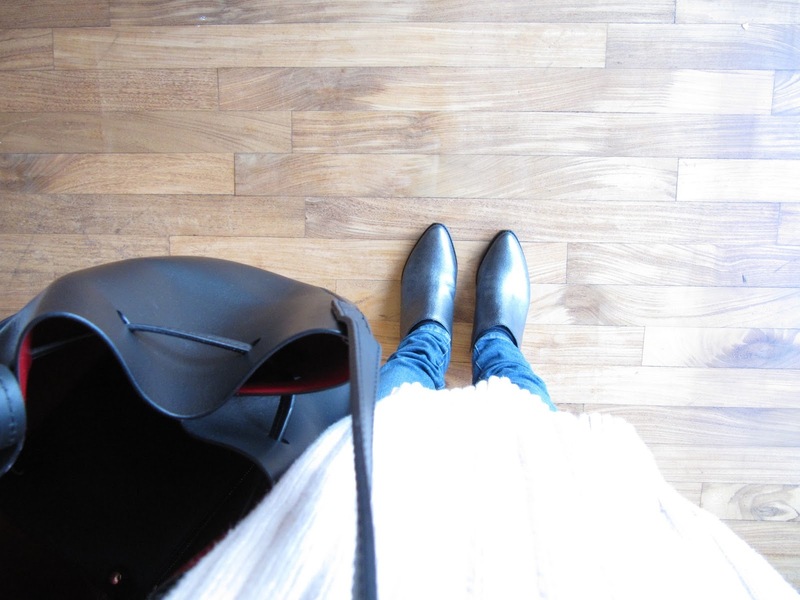 In the outfit above I’m just pairing the bag with skinny jeans, an oversized knit and silver ankle boots. The Bucket Bag comes in many different colours and I’ve already put their Camello Sun and Royal bags on my wish list (perfect for Spring/Summer!). This is definitely one of those bags I’ll wear for years. Too soon to say it’s probably my best investment ever?